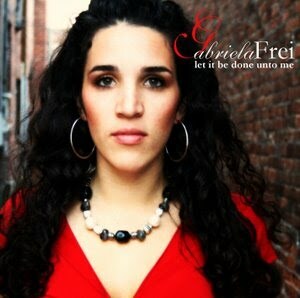 My name is Gabriela Frei. The Lord has blessed me abundantly through the gift of music and song-writing, and my prayer is that this gift is a blessing to you as well. The majority of songs on this site (unless otherwise noted) are my own musical and lyrical creations, with God as my songwriting partner. I hold the copyrights to all my work, and reserve all rights to it. Buy my CDS! Get a hard copy by visiting my sales page, or search gabriela frei on iTunes for mp3 files. You can view any of my music videos, as well as praise and worship videos and cover videos, by clicking here. I also have three audio players for you to enjoy over on the right side of this website. The top one is all original work. The second one features music I have performed at weddings. The third one features popular praise and worship anthems. Enjoy! Thanks again for visiting my site. May the Lord bless you with all of His joy, peace, and love.